A Division of Capitus Oy Ltd.
John & Jason makes new songs based on the old school style with acoustic guitars accompanied with cajon, bass and occasionally banjo. The story of John & Jason dates back to the sixties when John oriented to blues and rock and Jason to country and folk. John released his first single record in 1970 and Jason 1976. They met again after almost 40 years and found the mutual passion and started to make acoustic country folk type of music. CD EP REFLECTIONS by John & Jason is released in October 2016. The songs could be listened in Spotify and YouTube. The songs are available in many digital Record Stores. All lyrics are by Jason Laine. Composer for 2. and 4. is Jason, for 1. and 3. Long John Ahvenainen. Lead singer in the songs 1. , 2. and 4. is Jason (on the left in the picture) and John in the song 3. Helge Tallqvist & Groovy Eyes with Sidekick Johnny: Plays George "Harmonica" Smith with Pepe Ahlqvist. 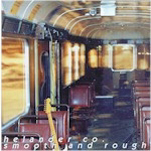 Helander Co: Smooth and Rough. 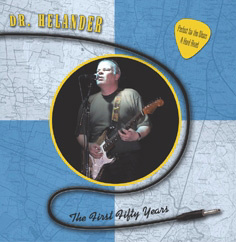 Dr. Helander: The First Fifty Years. Dr. Helander's 50 years celebration on vinyl. The vinyl's A-side: Perfect for the Blues by Helander and B-side: A Hard Road written by John Mayall. Postage added to the prices.